What a very nice pairing here! 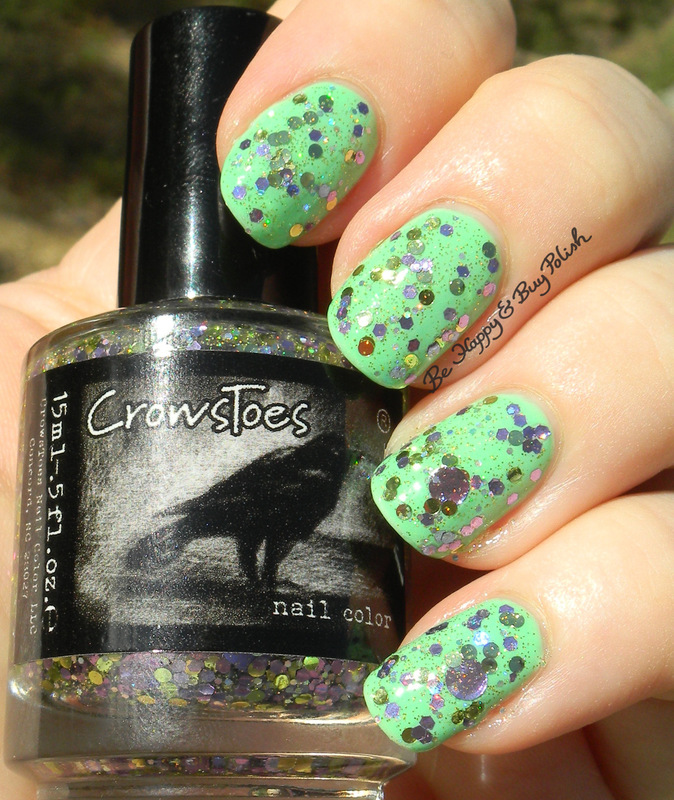 That glitter goes super well with the bright green base. Wow this polish combo is pretty! I’ve never heard of this brand. Where can I buy it? I know, I hate having to take shipping costs into the equation, but you just have to! Fab combination! Love the glitter topper! Love these beautiful colors together! This is a stunning combination! I love it! I’ve yet to try Crows Toes but it sounds like I should. You definitely should, they have great glitter combos! 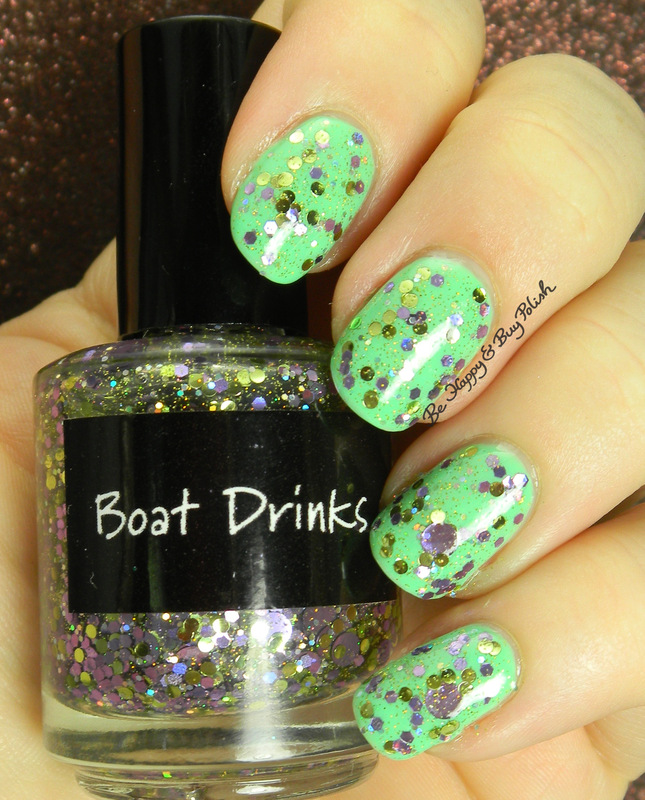 Verity Soft Green is just perfect for the Summer and the glitter topper adds so much dimension to it. I’ve been holding back on the OPI Sheer Tints and Color Paints but will take the plunge soon. I don’t think the Sheer Tints are worth it, but the Color Paints definitely are! It’s so fun, but not over the top. It looks perfect with that green too. Fun color combo. I love the green base. This combination makes me think of Halloween. I like it. Ohh I love those large circle glitters! Me too, and usually they aren’t my favorite!